Where I got it: Strange Dye sent it to me to try for this blog. 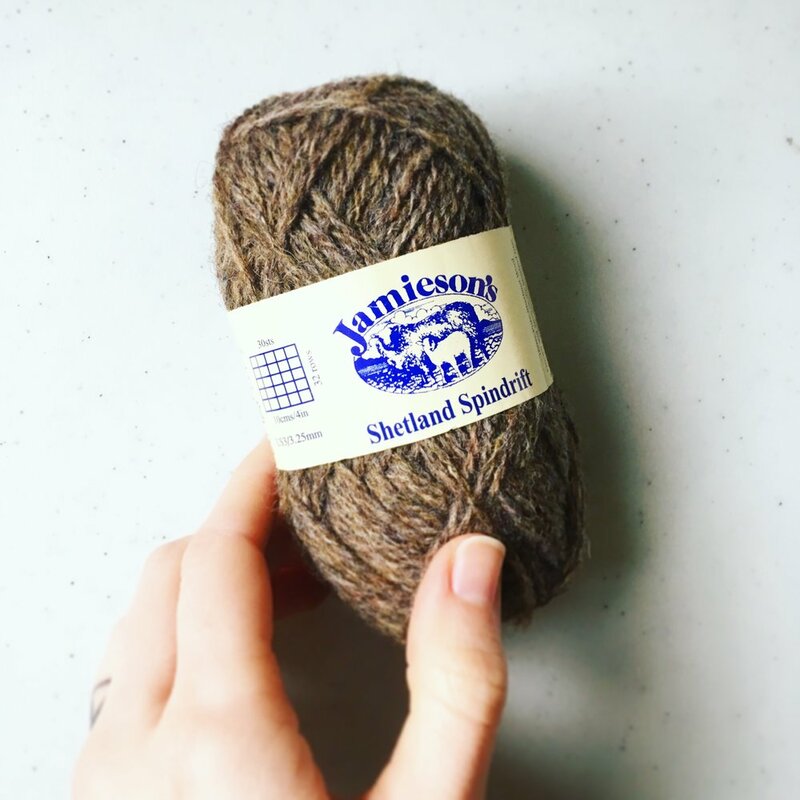 My Thoughts: This yarn is all grown and manufactured in Canada, and Strange Dye uses natural dyes to get these rich colours. The yarn isn’t soft, but it also doesn’t feel prickly to me - more like it’s got a wonderful, toothy body to it so that the fabric keeps its shape. If you only like Merino and cashmere, this one might not be for you, but I’m a big fan. It’s soft enough that I’d wear it as a neck accessory, and I love that there’s still lanolin present in the fibre - that makes for such a nice knitting experience. What I might design with it: I’m picturing a wrap that just piles up around the neck - super warm with lots of texture. Where you can get some: Get it on Etsy from Strange Dye.